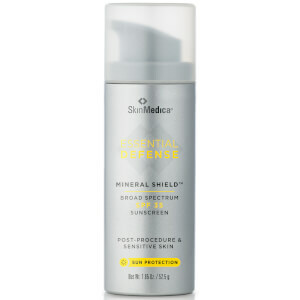 Sun Shield Mineral Broad Spectrum SPF 50 combines UVB and UVA protection with Invisible Zinc technology - a revolutionary, naturally sourced micro-fine Zinc Oxide - to deliver a unique dry, clear finish for powerful protection from the sun's damaging rays. 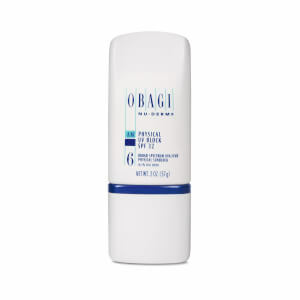 The lightweight formula is oil free and suitable for all skin types. 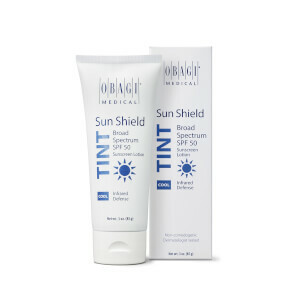 Apply liberally 15 minutes before sun exposure; reapply after 40 minutes of swimming or seating; immediately after towel trying; reapply at least every 2 hours; children under 6 months: Ask a doctor. 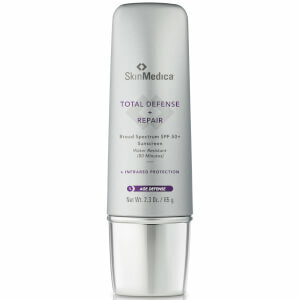 Active Ingredients: Titanium Dioxide 4.9%, Zinc Oxide 4.7%. Inactive Ingredients: Water, Butyloctyl Salicylate, Cetyl Dimethicone, Dimethicone, Styrene/Acrylates Copolymer, Trimethylsiloxysilicate, Dimethicone Peg-8 Laurate, Isohexadecane, Butylene Glycol, Polysorbate 60, Trisiloxane, Arachidyl Alchohol, Polyhydroxystearic Acid, Hydrated Silica, Ceramide 3, Ceramide 6-Ii, Ceramide 1, Niacinamide, Cholesterol, Phytophinogosine, Peg-100 Stearate, Glyceryl Stearate, Ascorbic Acid, Avena Sativa (Oat)Kernal Extract, Arachidyl Glucoside, Beeswax, Behenyl Alcohol, Benzyl Alcohol, Stearic Acid, Bisabolol, Dipotassium Glycyrrhizate, Ethylhexylglycerin, Glycerin, Hydroxyethyl Acrylate/Sodium Acryloyidimethyl Taurate Copolymer, Pantothenic Acid/Yeast Polypeptide, Peg-8,Xanthan Gum, Polyaminopropyl Biguanide, Polymethyl Methacrylate, Alumina, Potassium Sorbate, Retinyl Palmitate, Sodium Lauroyl Lactylate, Carbomer, Tocopheryl Acetate, Bht, Disodium Edta, Methicone, Methylisothiazolinone, Triethoxycaprylysilane.